I never really paint my nails for holidays, but this year I made an exception. 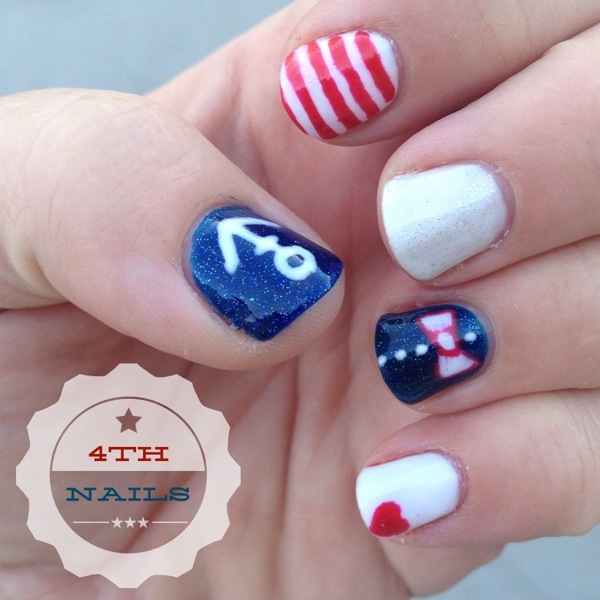 I was so inspired by all the cute patriotic manis out there, I just had to do my own. I used Gelish polish in Holiday Party Blues, Hot Rod Red, and Little Miss Sparkle and OPI Gelcolor in Alpine Snow. The details were painted with a cheap-o fine tip paint brush. FYI, even after curing, the red bled into the white when applying the topcoat, so use a light hand.